Uranium is a silvery white metallic element. It is a chemical element found in the actinide series of the periodic table. Uranium has the chemical symbol U and the atomic number 92. Uranium occurs naturally in soil, rock, and water at low concentrations of a few parts per million. For commercial purposes, uranium is extracted from minerals such as uraninite (also known as pitchblende). 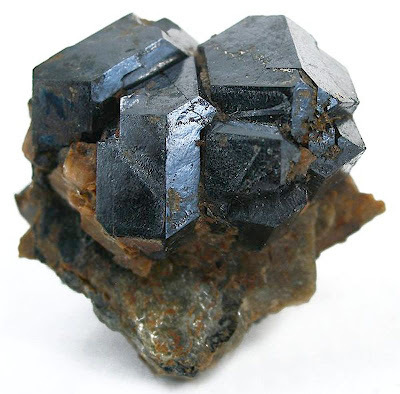 Uraninite is a uranium-rich mineral and ore that is the major source for uranium. Scientists today reported progress toward a 40-year-old dream of extracting uranium for nuclear power from seawater, which holds at least 4 billion tons of the precious material. They described some of the most promising technology and an economic analysis showing uranium from the oceans could help solidify nuclear energy potential as a sustainable electricity source for the 21st century. Their reports were part of a symposium at the 244th National Meeting & Exposition of the American Chemical Society, the world's largest scientific society, being held here through Thursday. "Estimates indicate that the oceans are a mother lode of uranium, with far more uranium dissolved in seawater than in all the known terrestrial deposits that can be mined," said Robin D. Rogers, Ph.D., who organized the symposium and presented his own technology. "The difficulty has always been that the concentration is just very, very low, making the cost of extraction high. But we are gaining on that challenge." Schneider explained, however, that the current goal is not to make seawater extraction as economical as terrestrial mining. Instead, scientists are trying to establish uranium from the ocean can act as a sort of "economic backstop" that will ensure there will be enough uranium to sustain nuclear power through the 21st century and beyond. "This uncertainty around whether there's enough terrestrial uranium is impacting the decision-making in the industry, because it's hard to make long-term research and development or deployment decisions in the face of big uncertainties about the resource," said Schneider. "So if we can tap into uranium from seawater, we can remove that uncertainty."